Copywrite Entered ... 1851 by J.H. Colton ... New York. Drawn by George W. Colton. Engraved by J.M. Atwood, New York. 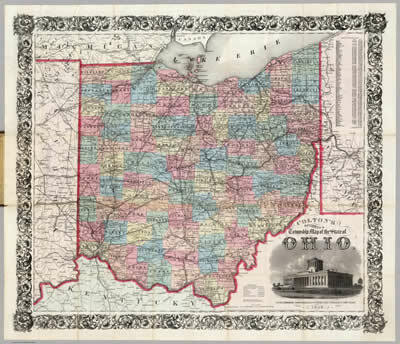 Notes "Cover: Colton's Township Map of the State of Ohio, Johnson and Browning Published by Colton in 1860"